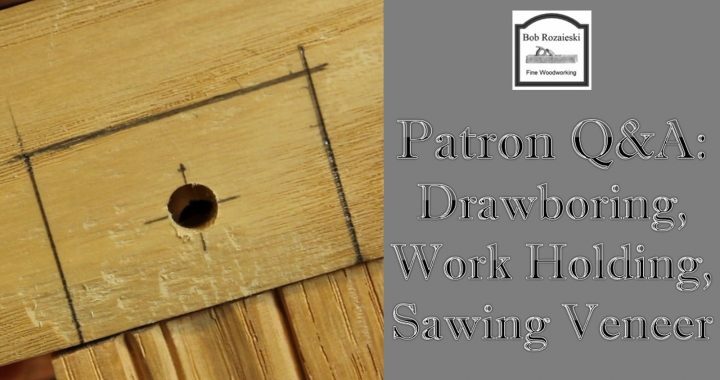 In this video, I discuss drawboring a mortise & tenon, work holding for planing small stock, and hand sawing and planing veneer. 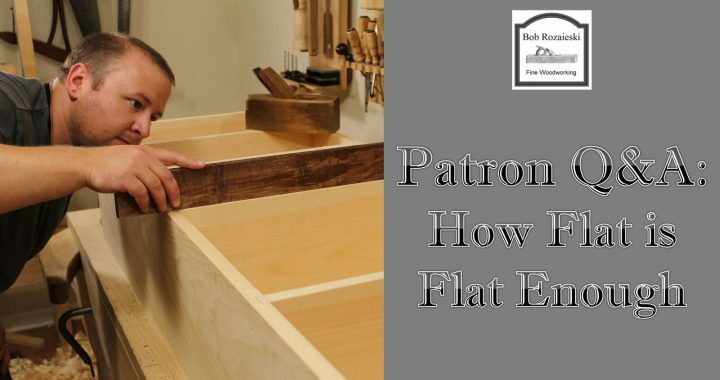 On today’s show, I discuss keeping table tops flat, scratch stocks, hollow grinding, dealing with changing grain direction, and hand tool that I just don’t need in my kit. I’m not feeling well this week so unfortunately I was not able to record a podcast. But fear not, I’ll be back as soon as my cough clears up and I can get back behind the microphone! The very first Patron Q&A video has been posted to my YouTube channel. 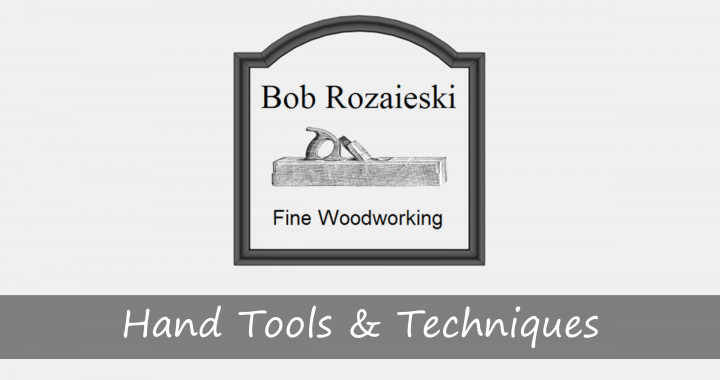 In it, I answer questions like “How flat is flat enough?”, “What angle do you hone a mortise chisel?”, and I talk about options for saw filing vises.